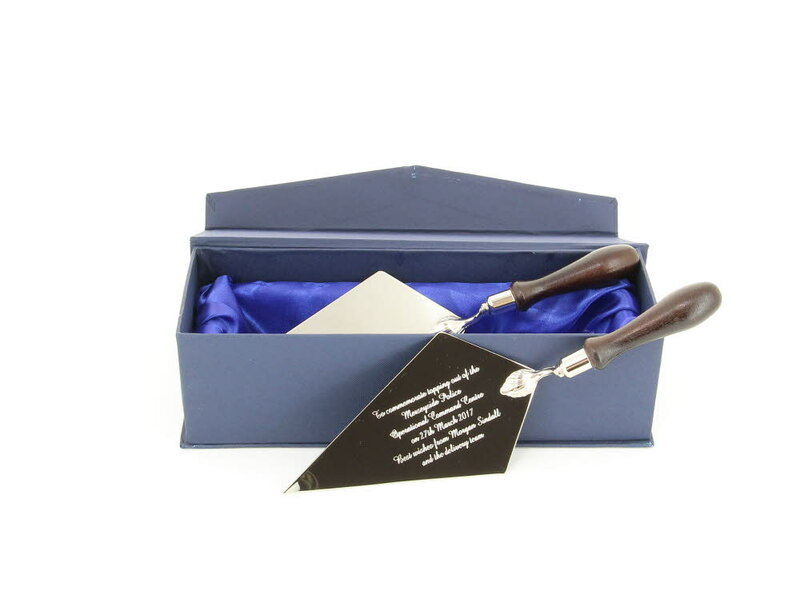 10.5 inch silver plated trowel fully engravable and complete in a presentation box. Hand made in the UK. Ideal award for that special occasion. Trowels for engraving.